I recently updated the website with a new page featuring several testimonials. 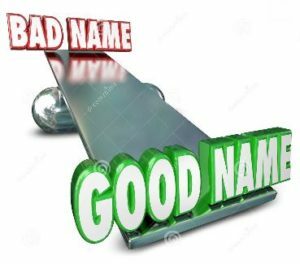 Having a good name is extremely valuable and is something that takes time and effort to achieve, yet can be ruined in an instant. So it is important to me that folks know with whom they are engaging when enlisting the services of Retreat Realty, Ltd.
To that end, we have updated the testimonials page on this site so that viewers can read several letters from buyers and sellers. I have dozens of additional letters I can share as well. For those of you whom I’ve met in person, you likely saw the three ring binder I carry with me that contains several magazine articles about my past development work and many of these additional letters. It is reassuring to me to look back at these letters from time to time, especially when I’m having a down day. They remind me that at one point, I hit a home run for my clients. That’s what I strive to do each time, though sometimes like everyone, I fall short and hit a foul ball. But overall, I’d say my batting average is very high, and I work hard to keep it that way. So thank you to all my clients who have written these letters. They are sincerely appreciated and I count it an honor to have assisted in the sale or purchase of your property! For those future clients, I’d love to add a letter from you after helping you find your ideal western North Carolina mountain homestead or bugout property.